Work is progressing at a steady pace, and one of the aspects of the new Smart Mobile Studio is how the RTL is cleverly organized into namespaces. Now it’s to early to spill the beans on all the new stuff, but in short we reached the point where we had to make some radical changes in order for the product to grow and reach its full potential. So far our RTL has aimed at the much loved VCL/LCL component architecture. This is not going to change at all, but how things are organized just had to be dealt with at some point. The longer we wait, the harder it’s going to be to introduce new features. In the new model we have a clear distinction between visual and non-visual units. Visual units (or code in general) depends on the document object model (DOM) being present. As you probably know, non-visual environments like Node.js and IO.js doesnt have a document object model. These are primarily designed to run server code. They are also used to write actual system services (specially on Linux where turning a script into a background service is easy) or command line scripts. Add to that technologies like Cordova Phonegap and Espruino (micro controller); then hybrid systems like nodewebkit, and you probably understand how important a clear separation of concepts and code is. But im not going into the nitty gritty of this now. Well, soon you wont have to! In fact, as of writing I’m testing the first server type (http) and it’s performing brilliantly. Its a pleasure to write this part of the RTL ! Nodejs rocks! And with Smart Pascal, it rocks even more! And that’s just one type of server. 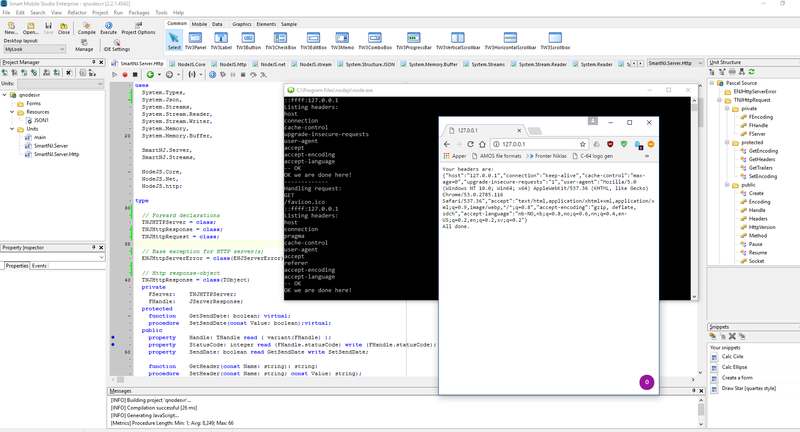 The really exciting stuff is when you dig into websocket and use socket.io to design your protocols (and clustering!). You can even setup events on both sides that trigger on spesific message types. Forget about heavy duty threading models — all of that is done for you. All you have to do is write the actual service. Hosting node services costs next to nothing. Hosting providers are a dime a dozen and you can forget about those nifty prices you normally pay for pure executables (like under Delphi or Lazarus). So there is a huge financial aspect to take into consideration here as well, not just technical jargon. Node services can be moved, they are platform independent and couldnt care less if you use Linux or Windows, Amazon or Azure: as long as node is installed your good to go! Smart Mobile Studio can be downloaded as a traditional installer-file for Microsoft Windows. This works quite well, especially when doing a clean install, and it would be very odd not to provide an installer in 2016. However, we do get feedback from people that experience problems with this. Not the installer itself, but rather when they update their system by just installing on-top of an older installation, things become problematic. In short: depending on just how old that installation is, it can be plain sailing or a frustrating experience. A while back we introduced the concept of “live updates”. In short Smart Mobile Studio ships with an automatic update application that makes sure you have the latest executables, the latest RTL and that your libraries are always fresh off the mint. 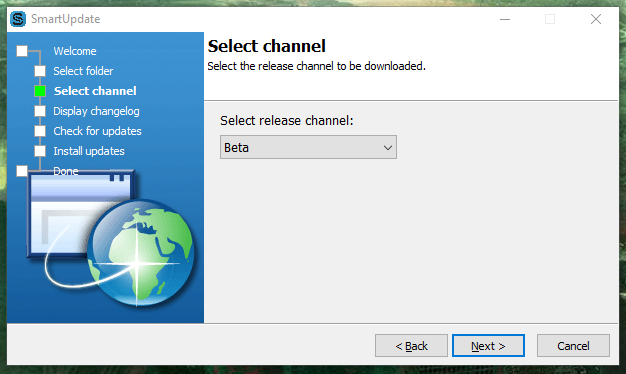 Each version of Smart has its own channel inside the update program. The value of such a system is naturally that you dont have to keep on downloading installers, punch in the serial number – or that we accidentally overwrite or delete your own library files. The updater will only deal with the files known to it’s RTL, and leave your work in peace. Windows is not what it used to be. I personally think Windows has embraced the concept of users, access rights and credentials quite well (although Windows Vista made me leave the platform for Ubuntu Linux for a while). But all in all, Windows 7, 8 and 10 are a joy to use. However, writing an installer that should be compatible with the majority of Windows systems (as many as possible) is not actually straight forward. 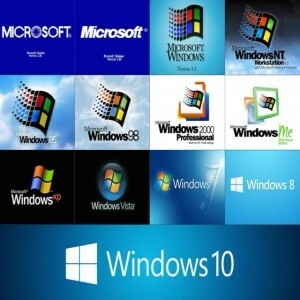 There are still things like credentials, roaming and non-roaming profiles, read/write rights, elevated users and functionality requiring admin notification (not to mention access bits on the filesystem itself); So a Windows box in Indonesia is not nessacarily identical to a Windows box in north America. Microsoft have clear cut rules established for what paths to use when installing software. Smart Mobile Studio follows those rules always, but just because you follow the rules, doesnt mean that the user’s credentials (which propagate into everything he/she does) allows you to write all the files. This is where elevation comes in; Something that is finally easier to deal with in Delphi, the compiler we use to make Smart Mobile Studio. We have seen people try to install Smart Mobile on thin clients and chrome-books, on roaming profiles in a corporate environment to their old Windows 98 machine. To make a long story short: modern Windows can be configured to be just about anything, and when installing a development platform you really need a normal PC without those restrictions. A developer machine. One of the biggest problems we have had and something that is topping our “how to” question chart, is when they have an ancient version of Smart Mobile Studio on their harddisk (anything from the first beta through version 2.0). This was before we added the automatic update program, and more importantly — the preferences files and dll files have since been utterly re-designed. What typically happens is that the old preferences file is left lingering on the system, the new executable tries to read it but finds none of the values it expects. This causes conflicts inside SMS, the server in particular is sensitive to this (which will be made more robust). This is not critical stuff, but annoying. The secondly, more critical, is when the older DLL files for the webkit rendering engine is left to linger. That means the header-files we use to talk with the DLL files wont match, causing a serious and show-stopping exception. Again, manually uninstall the older version first. Then go into your “program files” folder and make sure to delete it completely. Same goes for “program data” (or appdata local or roaming). And last but not least, “user data” where library units, the RTL and various other tidbits are stored. If you have a newer version you really dont need to download and use the installer. Simply start the update program and it will download the latest files. But its vital to remember that if you have made manual changes to the RTL files (which technically you shouldnt, but we dont mind as long as you stick to the license agreement for copying) – the update program will overwrite those files. The point of the update program is to make sure the RTL, libraries, shims and IDE executable is the latest. It wont touch files that doesnt belong to SMS.